When you check your emails in the morning, how many are trying to get a hold of your bank account details? You might not realize it, but there are lots of phishing emails being sent every day to people trying to scam them into entering your sensitive information. Phishing scams are those emails where scammers are trying to steal your personal details, whether this is your passwords to certain websites, bank account or credit card number. They are trying to trick you so that they can take money from you. Of course, if you realized that it was a scam, you simply wouldn’t give this information to them. It is that simple But, the real problem is that they are smart and often pretend to be a legitimate company to get your attention and make you enter your details. The scammers could be pretending to be a popular bank or even Facebook and Apple. It is common for phishing emails to look authentic and tell you that your account could be blocked if you don’t enter your details immediately or there has been authorized activity on your account and you need to confirm your passwords. They can even contain real logos of the company and similar branding details that make it look the real deal. And the worst thing is that scammers are getting better and better. Since phishing emails can look so genuine, you will want to know how you can avoid sharing your personal details with scammers. So, let’s look at some ways you can avoid falling for those bad phishing emails once and for all! If you receive an email immediately asking for your personal details, be suspicious. If they ask for your username, password, social security number or other bank account details, this is a sure sign that it is a scam. Normally, companies do not ask you for this information, especially by email. Even if it is describing a bad scenario, such as you have been hacked or your account will be shut down, it is just to scare you. So, simply delete the email, it won’t be true! Often phishing emails will contain a link or attachment that they want you to open so that you can verify your details. The worst thing that you can do it open it! This will usually be fake and lead to something that can be damaging for your computer. If you are not expecting an email from this company, assume that it is a scam until you are alerted otherwise. Opening these links and attachments will lead you right into the trap! If you are just not sure whether the email you have received is a scam or not, you can always call the company to ask. They will be able to verify whether this email that you have received is legitimate or not. That way you can have peace of mind and know immediately whether to ignore the email. Plus, it also means that you can report this scam directly to them and they can do something about it. Some phishing email scams actually provide you with clues as to whether they are real or not. What we mean is, some scammers are from overseas, which means that the grammar and spelling of the email can often contain mistakes. Official would rarely contain these kinds of basic mistakes and it can be a sure sign that someone is trying to trick you to enter your personal details. One of the best ways to spot a phishing email is by looking at the sender’s email address. Often, they are from emails that do not look legit and don’t even contain the name of the company in it. If it looks odd then this will definitely mean that it is a scam and that you should ignore their requests for your details. 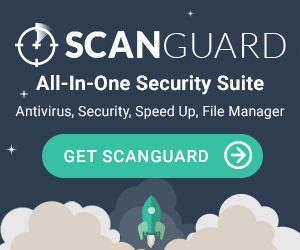 Up-to-date antivirus software will keep your computer and data safe from all kinds of phishing scams and malware. It will be able to block pop-ups and it has filtering systems that can help your personal information stay secure and not be at risk from scammers. Just be sure to keep it up to date and install the security patches so that your anti-virus software can protect you from the newest threats that are created. Nobody wants to fall victim to a phishing scam, but scammers are getting more and more sophisticated and clever. This means that it is always better to be safe rather than sorry. That is why you should always conduct regular back-ups of your computer. In addition, it is important to change your passwords regularly and make sure that they are secure and strong so that nobody can guess them.